A weekly themed dinner party hosted by Rocco Ancarola. Sundays starting at 9pm. Fascinated by the Italian Riviera of the 1950's where Movie Stars mingled with Rockstars and Musicians in trendy restaurants, Rocco Ancarola dreamed up Riviera Sundays at Lavo Restaurant. Rocco's fascination with this world has always inspired him to entertain his guests and leave them with a "Magical" Memory and experience. 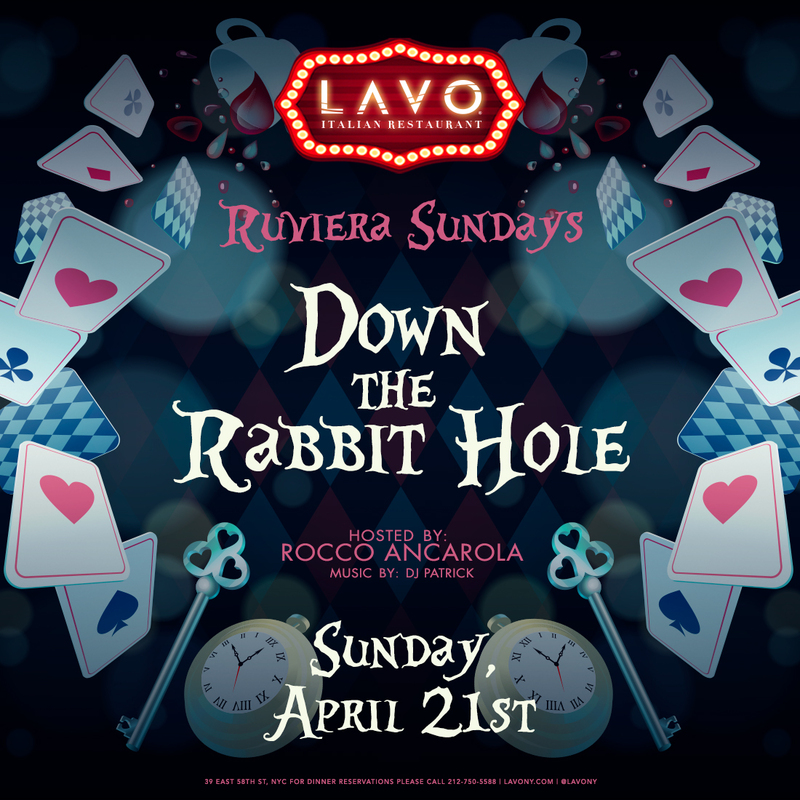 What he has conceptualized at RIVIERA SUNDAYS is more than just “dinner theater.” Start the meal off with Lavo’s signature dishes while taking in the sights of magicians, ballerinas, stilt-walkers, jugglers, and more. A seamless transition into dessert and dancing fills the room with energy. Go ahead and dance on the tables! Every Sunday is a different theme to keep the party exciting. Our DJs match the music and sounds to the theme while guests party the night away. 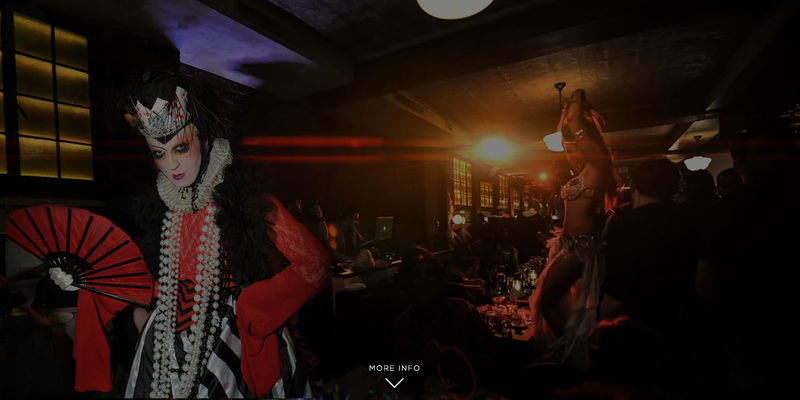 Riviera Sundays is an experience like none other, it's where guests come in to have dinner and a night of exotic fun. Please fill out the form below or Call 212-750-5588Please note: This form only submits an inquiry for a reservation. You will be contacted within 24 hours by a LAVO staff to confirm. By submitting your information, you agree to the use of your contact information for marketing purposes.